What do those diagnosed with psychogenic non-epileptic seizures receive along with the diagnosis of PNES when they are discharged? For many it may have taken months to years to reach the point of lying in the hospital bed hearing the words: you don’t have “epilepsy,” you have something we call “psychogenic non-epileptic seizures” or “non-epileptic attack disorder.” Getting here may have involved being seen by more than one doctor, receiving all sorts of other diagnoses (e.g. epilepsy), taking medications that did nothing to improve the seizures, encountering challenges such as losing a job and driving privileges, trying to explain to loved ones and strangers what is happening to you, and more. For many, the struggle towards recovery does not end the day the diagnosis of psychogenic non-epileptic seizures is provided by the epilepsy specialist after reading and interpreting the EEG results. This is partly because often the diagnosing physician does not having a proper referral or resources to recommend to the patient. 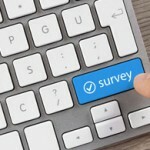 On www.nonepilepticseizures.com we invited our webpage visitors to respond to a survey question that asked respondents to choose what they received along with the diagnosis (and if they received more than one, to select the one that was the most useful). This is not a scientific poll but it gives us some interesting things to think about. Out of 115 votes, 27% were not only given a diagnosis of PNES but were also provided with the actual name of a therapist or psychiatrist. Awesome! What you most need when you receive this confusing and new diagnosis is an actual professional who you can call and start seeing as soon as possible. So, kudos to the centers and doctors who provided their patients with this! This offers a much better chance for recovery to these patients. Nearly 30% (29%) however were just told to “seek a therapist” but were not provided with any specific recommendation. So it’s not too much of a stretch to imagine that these patients might have had to start calling a random list of therapists while attempting to explain their PNES themselves? That takes a lot of effort and presents several hurdles. First you need to get the list of mental health professionals from somewhere and then call one number after another. It is not uncommon to be informed that some therapists are “no longer taking new patients,” others don’t “know what PNES is,” and yet others have an office that is not accessible or conducive to someone having seizures, among other things. Only 3% were offered a book. My book “Psychogenic non-epileptic seizures: A guide” is available to hospitals at publisher’s cost (seven epilepsy centers around the country have made use of this offer) and I publically use this forum today to mention this to other hospital staff that may be reading this post. Lastly, I find it especially distressing that 32% reported that they were not provided with anything other than a diagnosis of PNES. Epilepsy professionals know that psychiatric care is the recommended form of treatment for PNES and this is a minimum of what should be provided. Granted, a substantial number of patients reject this recommendation because of the stigma associated to mental health issues or because they it takes time to adjust to the change in diagnosis, but if the doctor at least mentions the recommendation for psychological care, in the future, the patient may realize that this was useful information. I’d like to add to this after going through this for almost 6plus years that if there were some type of communication between the referred doctors as a circle of CARE it would be helpful as well. I think only once did my therapist receive a call and communicatied with the Neurologist in all the years being treated. I am now dealing with other issues concerning the eyes called ocular migrains or aria migrains where the NPES comes on at any given time without notice except for these cloudy or waves that come across my eyes. Waiting to see what the neurologist will do with this information. Regarding my daughter, we were NEVER told the term Psychogenic Non Epileptic Seizure Disorder, we were told she had Conversion Disorder with very little explanation of what that was. Doing my own research I learned about PNES and am always looking for more information. All we were told was that she should see a psychiatrist and given a name. The psychiatrist never really explained what this all was. My daughter also has OCD and Tourette Syndrome so we were unsure if these seizures she was having were tics of some sort. I wish the doctors had been more clear and given us more information.